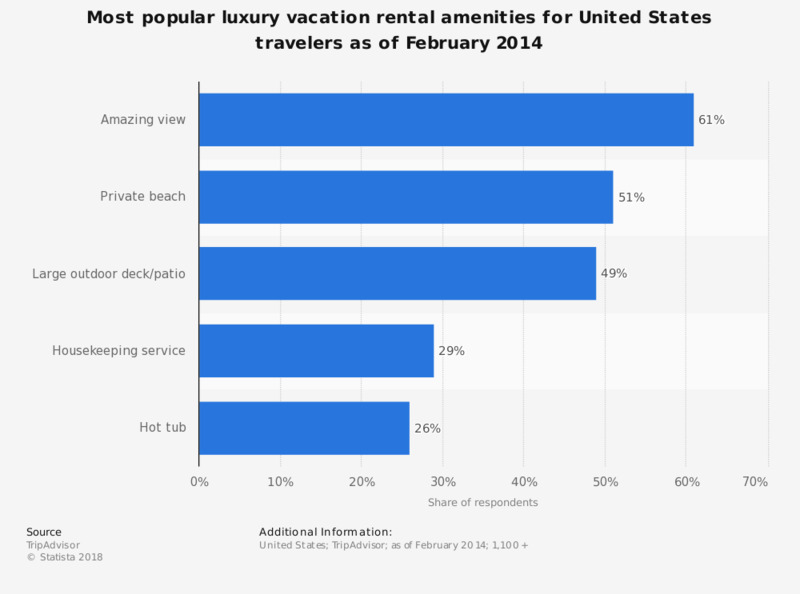 This statistic shows the most popular luxury vacation rental amenities for United States travelers as of February 2014. During the survey, 49 percent of respondents stated a large outdoor deck or patio as a luxury vacation rental amenity they would like. The source does not provide the type or date of suvey. The date of survey given is the publication date. How do you rent out your holiday home? Why do you rent out your holiday home? Why don't you rent out your holiday home?